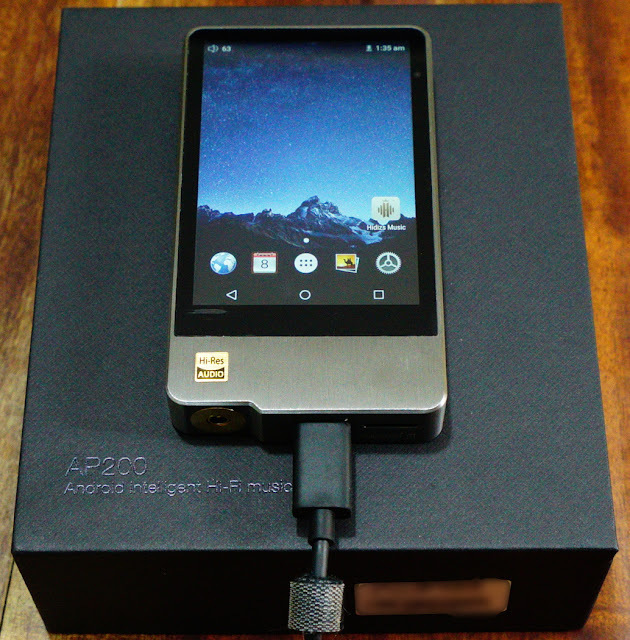 To a few people Hidizs isn't a new name in Digital Audio Players, they've had an excellent run with their previous models but now have taken a step further with the AP200, a High Resolution Android DAP certified by JAS (Japan Audio Association) that promises a lot of things that go above it's price tag. The box is made of sturdy cardboard and looks very special, it reminds me of the same box used by Huawei on the P9. Don't mind the leather "case" box since it's a separate purchase and doesn't come with the package. Box contents from top left is the AP200 (with applied screen protector, top cover peeled already), a clear side/matte back plastic cover case, inside the box is the AP200 tray, on it's side is the cable box and under the tray is space for the case and the following from bottom left, an extra screen protector in a white pouch, a legends card (for what the buttons do and parts of the DAP) which covered the tray. 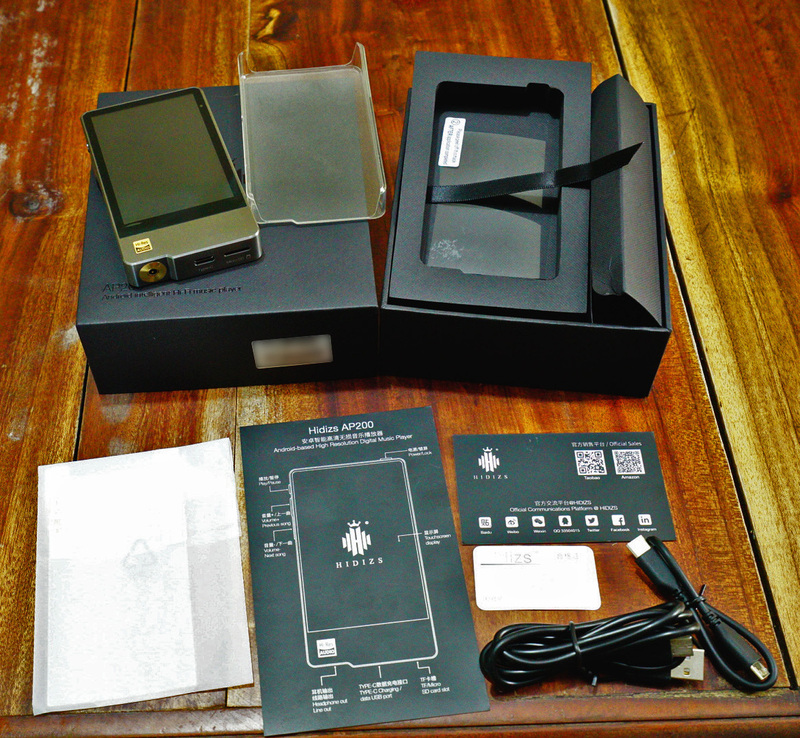 A warranty card (black card), a QC pass card (white card). The bottom cable is the USB-C data/charging cable and a shorter USB-C to USB-B (micro usb) cable which is used as the DAC cable. * Android 5.1 with "Pure Music Mode"
Flac, Ape, WMA, Wav, Alac, DSF and DSDIFF, Native DSD 64/128, PCM up to 384Khz/32 bit, ISO DSD format. I have the 64GB Stainless Steel Carbon Fiber back version, the frame is made of stainless steel and feels very solid with a brushed titanium look, and though I thought the carbon fiber design (in general) was pretty much the same and kind of cheap, on the AP200 it actually looks good underneath the glass. The power button is on the top right of the device, the left side has a circular play/pause button and under it is an angled bar for volume up/down (press once and press and hold) and doubles as the rewind/skip forward (double press the up or down button.) The system of double tapping and long pressing can be a bit confusing, plus the volume up isn't "forward" but "rewind" so I don't feel it's instinctual in use. Under the AP200 is the plug, which looks nice and sturdy, surrounded by a gold ring similar to the Sony Walkmans. Beside it is the USB-C plug for charging and data transfer and the single MicroSD card slot. Note that when using the plastic case, the buttons can be a bit harder to push (specially the volume down/fast forward) since it sits more flush into the body. 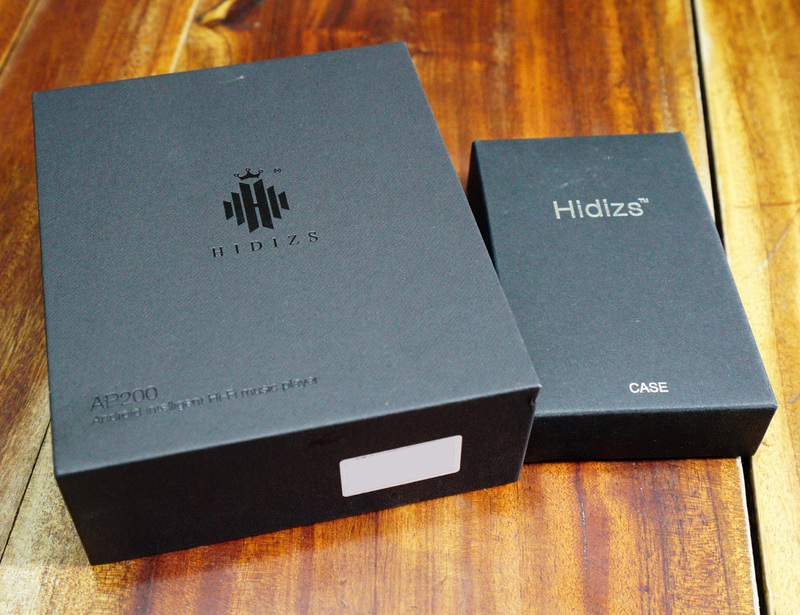 Boot up is fast with a single "welcome" screen followed by an animated HIDIZS screen and the actual operating system. Normally when you receive your device it will be on the latest firmware (2.0 beta) and may be a bit laggy in some places, if that is the case, you can erase NAND in settings, and do a Factory Reset. Take note that this reverts the device to Chinese, remember the placement of the Language option (Just press the Settings "Gear" and select the Language "Globe" icon and you'll find English there.) This is what I did to my unit so the following observations will apply. Swiping is good, selection and app uptime takes around a second. Take note that since this is beta, there will be some bugs on the firmware/software side of things, and one of the things I've observed is that while playing music, a song may suddenly pause for 1-4 seconds, like it met the end of a buffer and will restart where it stopped, this doesn't happen often, like once or twice in 4 hours of playback. In the OS, there isn't really any bloatware (except maybe calendar) as there's a basic browser, calendar and the Hidiz player app, this may change though with future firmware updates. Another buggy thing is that activating the Equalizer and using it can cause the app to close (specially when you take too long to drag a bar) but once it's set-up, it cause no issues. Bluetooth has no issues with use, though I have not tested the maximum range it can transmit. It seems there is an issue with wifi as it seems (software?) 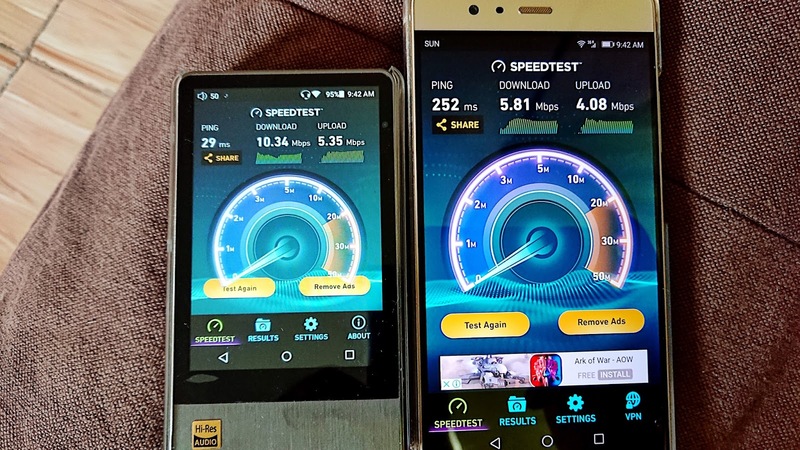 restrictions made it underpowered, my phones could pick up signals the AP200 can't and the AP200 wifi transfer speeds are more affected by signal strength. Good news is, the closer I went to the router, the better and faster the transfer rate till the signal strength is 100% where it's at par with most phone wifi speeds. Note: My internet speeds are up to 10Mbps. Longevity seems to hover around 8-10 hours depending on what you do with it, using wifi, installing apps downloading files uses the most amount of power, while playing music alone with minimal use of the screen can extend the life of the battery. Note that using high gain and/or high volumes depletes the battery faster. The unit charges well (1 hour 45 minutes from 10% to full charge) and can charge whether it's on or off. Note: I've tested charging bricks from 1amp to 2amps, they're relatively safe, but try to avoid samsung/huawei chargers and cables, some have non standard charging protocols (for fast charging) and may eventually damage your unit. Stick with charging bricks that just produce 1 to 2 amps, no quick charge, quick pump, fast charge or what not. 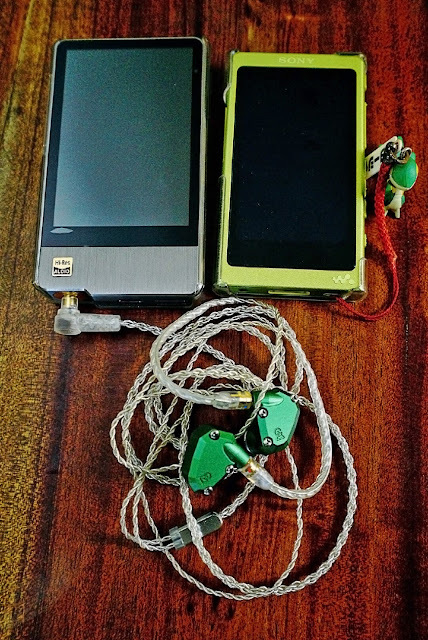 Testing the AP200 (the only audio affecting option is in the EQ, which I disabled) on various headsets and iems, I am pleasantly surprised by it's lightly warmish, relatively balanced and musical signature. When I say balanced, I mean nothing stands out (too much) with regards to lows, mids and highs. For example (on my AKG k553 pro, my more or less 'reference type of headset) bass and sub bass is heard in good quantity, it's fast and not muddy. Drums sound alright, not booming but each hit is heard more than felt, until the track actually has booming bass, then you can feel it a bit. Mids are slightly forward, intimate but not an in your face/ear kind of sound. Vocals are clear, guitar sounds good, strings on acoustic tracks can be heard as they are plucked. Highs are good too, a bit extended, a bit controlled and clear but not sparkling and hasn't introduced any sibilance in my gear. The better the headgear, the more pronounced the signature is based on what your headgear is slanted to, like on my Tennmak Trio, bass is more pronounced, mids are in line (balanced filter has a slight mid recession) and highs are comparable to the AKG, overall sound is clear, separation is good, there is moderate head space, it's not cluttered or compressed, more of a bit of intimacy. On the Andromeda, bass can be easily felt when the track has it in moderation up to thumping booms which translates to bigger thumps, mids become crystal, like guitar finger plucks are clearer and easily heard. On high, nuances are expressed more, there is a bit more extension heard but never piercing. The above tests were done with a few hours on each headgear, low gain and half the time on Android and the other half on Pure Music Mode. One other pleasant thing I've discovered is that the AP200 can drive the Hifiman HE400i easily, on Low Gain you'll need around 90-100% to use it well, but on High Gain, 50-60% is really good, 70-80% is plenty loud, 90-100% is something I cannot listen for long without fear of losing my hearing. I'm guessing this means it can drive a lot of hard to drive headgear. Please take note that the above 'review' is more of an impression as I haven't listened through the AP200 as much as I would want. Like the fact I haven't tested it's dac functions in full yet, but as it stands, the AP200 is surpassing my expectations sonically (software needs some more work though) and though it wont replace my Sony WM1a, it's good enough that I won't miss the Sony that much when I use this for travel. My other DAP, the Sony A35 is going to be shelved for sure because of this unit, it doesn't matter if the software isn't final at this point, but considering the performance at it's price point, it's definitely a great DAP for everyday use based on audio quality, versatility, power and potential. Wonderful. ;) Following for more future updates with the ap200. I'm also rocking the 64gb Rosewood variant.